Google Pixel 3 and Pixel 3 XL has officially started going on sale worldwide with the Android Pie 9.0 pre-installed. Although these new phones are running on the latest Android system software, there a few users that have started complaining about the serious problem on their new phone when their device got stuck on the bootup logo screen. 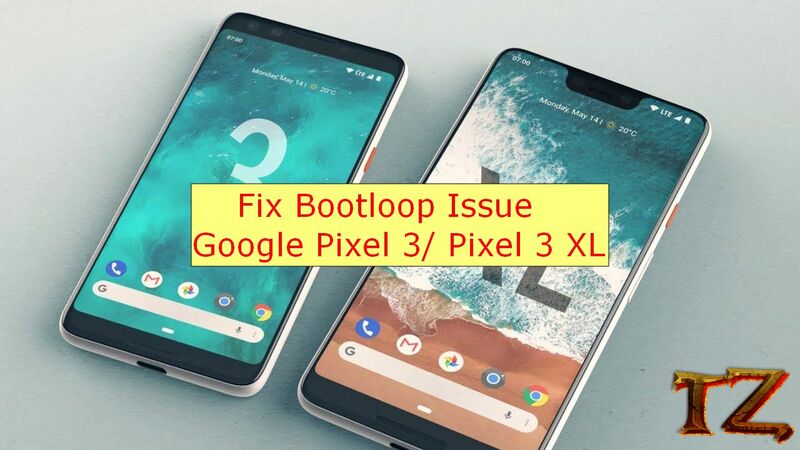 If you are also dealing with the same problem on your new Pixel 3/ Pixel 3XL phone, then this post is for you. We will walk you through solutions to fix a software issue that makes your new Pixel phone stuck at the G screen with Google logo when you power it on. Step 2 – Turn it back on and when you see the Google logo, press and hold volume down button until the end of the boot animation. Step 3 – Your new pixel phone is now in the safe mode. You can see Safe Mode watermark at the bottom. In this mode, if your device works properly, then the problem comes from third-party apps. You should uninstall the recent software installed on your device. Step 1 – Power your phone off and press both Power + Volume down buttons. Step 2 – When your phone vibrates, release them. You will see an Android logo on the screen. Step 3 – Wait for a few seconds and press Volume down button until the Recovery mode option appears on the screen.